The Newport Historical Society has three properties that are potentially available for weddings or other similar events. The Colony House, the Great Friends Meeting House, and the Seventh Day Baptist Meeting House are all available for rental. 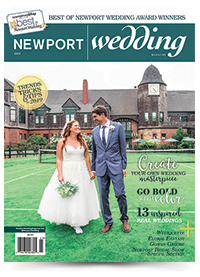 While all event venues claim to be special, Newport’s historic structures truly are. We also offer favors and gifts for your special day. Visit us at OceanCliff booth #15 at the 16th Annual Newport Bridal Show on February 17, 2018. We look forward to meeting you there! Complete the form below to send Newport Historical Society an e-mail message.